This morning Chris Schwarz was kind enough to mention my web site on his blog. Chris warned me ahead of time so I had some time to prepare, but I wasn’t expecting this level of response! I left the house this morning, right after Chris published his entry, headed to my daughter’s Pre-K “Thanksgiving Feast” at school. I returned, full of good food and with one tired kid, to find more than 50 email messages waiting for me. I’m just responding to them now, processing them in the order they were received. If you haven’t heard from me yet, you will. I appreciate your patience! Author Joshua ClarkPosted on November 18, 2010 Categories EtceteraLeave a comment on I’ve Been “Schwarz’d” !! New Old Tools For Sale: Stanley Bench Planes, Langdon Acme, etc. Today I added a bunch of new old tools to my For Sale page including several good usable Stanley bench planes, a Disston thumbhole rip saw, and a huge Millers Falls Langdon Acme mitre box. As always, please contact me if you have and questions about the tools I have for sale. 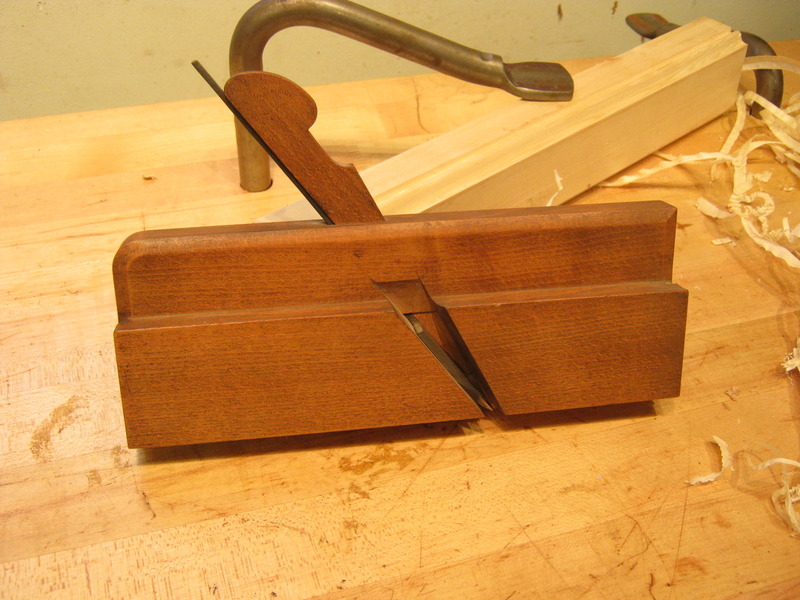 Author Joshua ClarkPosted on November 17, 2010 Categories Tools For SaleLeave a comment on New Old Tools For Sale: Stanley Bench Planes, Langdon Acme, etc. I usually attend auctions to find good tools to restore and resell. Once in a while I find a tool I just have to keep. Besides saws, I also have a “thing” for crisp molding planes, especially British planes. When I found this plane at a local auction I knew right away it was a keeper. This is a J. Buck, London quirk ogee in a really uncommon small 3/8 in. size. Buck made some of the highest quality molding planes in my opinion. The overall execution and attention to detail on this plane is amazing. It’s also as crisp as the day it was made. Aside for the MAX OTT owner’s mark there is barely a scratch on it. It was clearly used very little, if at all. Today I added fifteen “new” old tools to my For Sale page today including some good usable molding planes, wooden bench planes, and some miscellaneous fun stuff. I hope you find something you like. As always, if you are interested in a particular tool, or if you have any questions, please don’t hesitate to contact me. 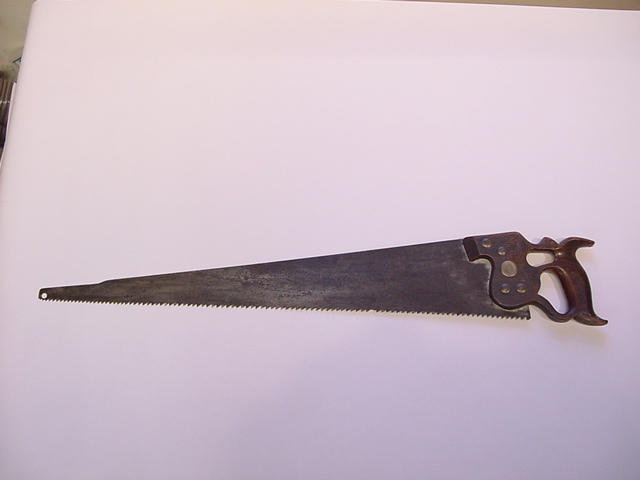 In my last post I published some pictures of a Harvey Peace P-70 handsaw I recently found and had restored. 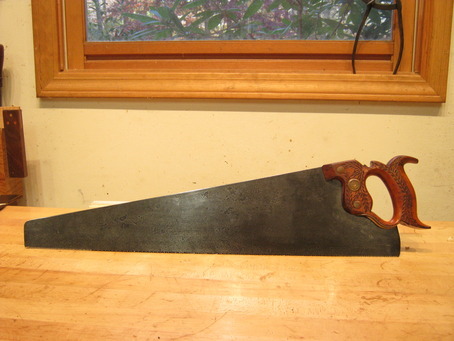 Just before I crossed paths with that saw I found another fairly rare Harvey Peace saw to add to my collection- the No. 60. 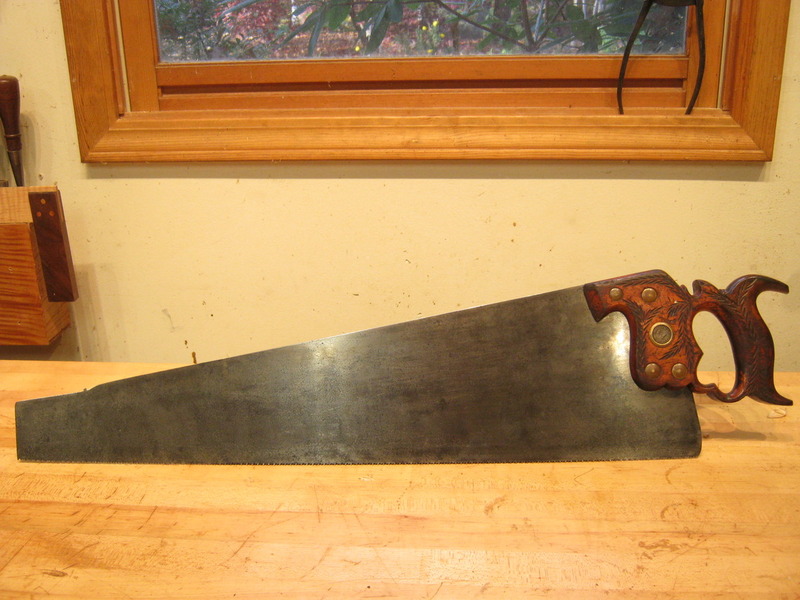 The 60 was the top-end of Peace’s line of traditional handsaws. It has a full size plate, traditional handle pattern (as opposed to the “Perfection” line which had let-in handles) and a nib at the saw’s toe. The 60 was unique in that it was made from the highest grade of London Spring Steel and featured a beautiful wheat-carved apple handle. The handle had the double loop similar to a Disston 12 and long, sweeping horns. It is a highly refined handle design. The 60 is a very uncommon saw. In over 10 years of collecting Peace saws I’ve come across only one, a beat-up thumb-hole ripper. That drought let-up a few months back when a No. 60 appeared on eBay- properly identified and accompanied by nice photos. After a week of sweating I snatched it up at the last second for a price I was very happy with. The saw arrived a few days later in great shape. I added a number of good, usable molding planes to my Tools for Sale page including lots of matched pairs of usable hollows and rounds, a pair of side rabbets, and some other interesting molding planes. October was a good month for tool hunting. Keep an eye out for lots of good usable tools coming up for sale here in November. Today I added a dozen new tools for sale. Lots of good user stuff including Stanley bench planes, some saws, molding planes, and other stuff. I also moved all of the items that were sold more than a month ago to a separate archives page. I want to keep the photos and listings available since that information is indexed by the search engines. I figure it might help someone in the future identify a tool or provide a needed reference. I added a dozen new tools to my for sale page. This includes some good bench and block planes, lots of nice layout tools, and some other interesting stuff. All good, usable tools at good prices. Contact me if you are interested in any of these tools. I added a bunch of new tools for sale today including an A. Wood and Son hollow auger, Disston gent’s saw, a cool Millers Falls bench drill, and some other good user tools. You can see these tools and others on my for sale page. At some point in the near future I hope to add some new blog entries.. I’ve found a lot of interesting tools lately that I’d like to post about. I’ve also finished a few projects. More real content to come soon..